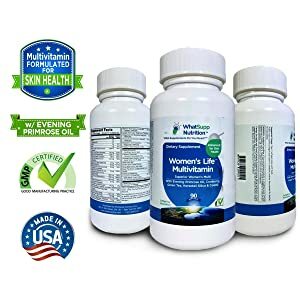 There are so many multivitamin brands specifically made for women, which is why choosing the best multivitamins for women can be so hard. 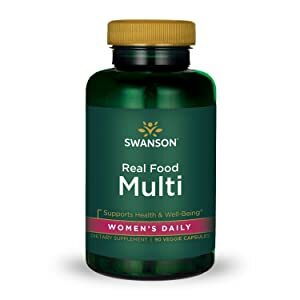 Aside from the many brands to choose from, there are also different kinds of multivitamins targeted for different women. How would you choose one that fits for you? Before buying a bottle (which can be quite expensive), do read on. This list will give you an insightful overview of the top-rated multivitamins made for women. Whether you’re looking for supplements for your pregnancy, to ease your transition into menopause, or just looking for an all-around everyday multivitamin, you’ll find some recommendations in this list. 1 Is it Necessary to Take Multivitamins? 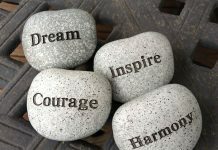 2 How to Choose the Best Multivitamin for You? 3 What are Some of the Best Multivitamins for Women? 4.1 Q: Do I have to take multivitamins? 4.2 Q: Why do some brands have some vitamins and minerals while some don’t? Why can’t all multivitamins contain all the vitamins and minerals? 4.3 Q: Why do prenatal vitamins can’t have folate, iron, calcium, and DHA in one capsule? It’s so costly and exasperating to buy different kinds! 4.4 Q: I’ve tried so many multivitamins but I can’t seem to find one that works for me. What should I do? 4.5 Q: Why are the prices not included in the pros and cons? Is it Necessary to Take Multivitamins? According to womenshealth.gov, most people, including women, don’t need to take multivitamins—if they regularly eat balanced, healthy meals. Of course, not everyone eats healthily. Even vegetarians and vegans might miss out on important macronutrients like protein, calcium, and iron, if they don’t monitor the plants they’re eating. To compensate, they can turn to dietary supplements like multivitamins. Herbivore or omnivore aside, though, women’s bodies go through many changes throughout their lives. This will require different vitamins and minerals. One example is before, during, and after pregnancy. Pre-pregnant and pregnant moms need at least 400 mcg of folic acid to prevent birth or gestational defects. While you can get folic acid from leafy greens (spinach is rich in it), some women prefer to take vitamins. Many experience food aversion and nausea and vomiting during pregnancy, which can interfere with folic acid absorption from eating food. Another example is when a woman is on her postmenopausal stage. Women produce less estrogen and calcium during and after menopause, which means they’re more prone to bone diseases and malformation. A lot of multivitamins geared towards postmenopausal women have calcium and vitamin D.
How to Choose the Best Multivitamin for You? Many people will base their choice on price alone. The best way to choose which multivitamin brand or product is best for you is to look at the ingredients list. You’ll need to choose one that provides at most the 100% recommended daily dose of the vitamins. The product shouldn’t provide you with more, because getting more than the required dose is actually harmful. This is especially true for vitamin A or retinol. The recommended dose is just 3,000-3,500 IUs – and this is for those who are not pregnant. For non-pregnant women, getting more than this amount can lead to overdose. Healthy pregnant moms are recommended to skip vitamin A supplements throughout their pregnancy. Normal, non-pregnant and non-menopausal women need different doses of multivitamins, too. Iron is essential, especially if you experience heavy menstrual bleeding. Magnesium is also important to get early on in life. Magnesium is involved in several body functions, such as bone formation and blood pressure regulation. Magnesium also helps a woman maintain a healthy pregnancy, so if you’re planning to get pregnant in the immediate future, you should get a multivitamin with this mineral. 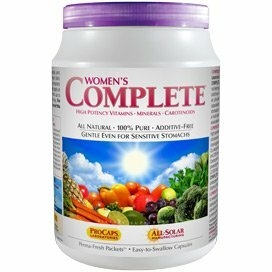 What are Some of the Best Multivitamins for Women? In softgel form, meaning the capsules are easier to swallow and digest. Contains cranberry concentrate, which helps combat urinary tract infections (which is more common to women). Contains green tea extract and CoQ10, which are great antioxidants. Contains Evening Primrose oil, Grapeseed extract, and Horsetail extract, which help nourish and support skin, hair, and nails. GMP-certified (Good Manufacturing Practice) product. Has a 60-day 100% money back guarantee. Some of the vitamins and minerals are more than 100% of the daily value. These include vitamin D-3, vitamin E, thiamin, riboflavin, vitamin B6, vitamin B12, and selenium, among others. Added benefit to skin, hair and nails may take weeks to have any noticeable effect. Vegan sources, meaning there are no artificial colors or synthetic ingredients. Contains vegetable-sourced folate, B vitamins, and biotin for healthy skin, hair, and nails. Contains turmeric root extract, cranberry concentrate, and ashwagandha to help prevent urinary tract infections. Company has been manufacturing multivitamins since 1969. GMP-verified (Good Manufacturing Practice) product. Has a 30-day 100% money back guarantee. Uses veggie capsules, which work the same way as animal-derived gelatin capsules, which might make them harder to swallow (than softgels). Some of the essential daily vitamins and minerals are less than 100% of the daily value. These include vitamin C, vitamin D, folate, calcium, iron, iodine, and magnesium. Might not be suitable for pregnant women, as it contains 167% of the recommended daily value of vitamin A. No additives, fillers, and artificial colors. Bottles are 100% recyclable and are made from post-consumer resin. Formulated to have high potencies of the essential minerals, vitamins, and carotenoids. Manufacturing facility uses 100% solar energy. Contains more than 1,000% of the daily value of vitamin C, which is essential for boosting the immune system. 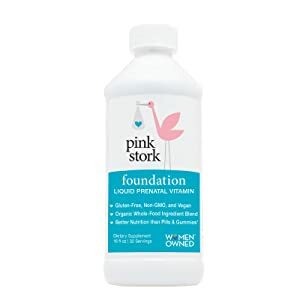 Uses ultra-fine, non-acidic powder, which makes it gentle for those with sensitive stomachs. Capsules are small and easy to swallow. Comes in pre-packaged packets (inside bottle), which ensures freshness. Contains less than 100% of the daily value of calcium and magnesium, two important minerals for women. 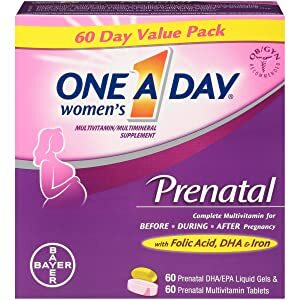 Can be taken before and during pregnancy. Official Omega-3 of the APA (American Pregnancy Association). 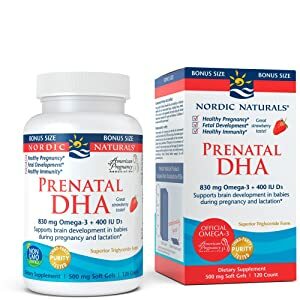 Omega-3 contains DHA, an essential nutrient for the growing baby’s mental development. Omega-3 is formulated to have better absorption than other brands’ omega-3 capsules. Omega-3 is derived from non-GMO, sustainably-sourced fish, including sardines and anchovies. Softgels are strawberry-flavored, making them more palatable to pregnant women with food aversions or sensitivities. Gluten-free, dairy-free, with no artificial preservatives or colors. Fish are caught from the wild, not from farms. Serving size is 2 softgels. Softgels can clump together inside the bottle. Can have a strong fishy aftertaste. In liquid form, which has a 78% better rate of absorption than capsules and pills. Liquid form also means it might be easier to swallow by pregnant women suffering from morning sickness. Can be taken before, during, and after pregnancy. Contains 200% of the recommended daily value of folate. Contains only a very small amount of magnesium and calcium (because of the high concentration of iron). Contains a high level of vitamin A, which might not be suitable for some pregnancies. Has a strong taste that might make some pregnant women feel queasy or nauseated. Contains one tablet and one liquid gel to offer all of the required supplements for pregnant women. Tablet contains 100% of the daily value for iron and folate. Liquid gel contains omega-3 for DHA. #1 recommended brand by OB-GYNs. Contains vitamin A, although only half of the daily value percentage. Has artificial colors (FD&C Red #40 dye, FD&C Red #40 lake, and FD&C Yellow #6 lake). Omega-3 is sourced from tuna, which may have traces of mercury. Not vegan (gelatin used for the liquid gels is from beef). Formula is estrogen-free, which means it can be taken by women who have a history or are prone to breast, ovarian, or cervical cancer. Clinically-proven effective alternative to hormone replacement therapy (HRT), or estrogen supplements. Formula contains no soy products, hormones, or propylene glycol. Backed by 15 clinical studies to reduce menopausal symptoms (night sweats, hot flashes, mood swings, insomnia, and anxiety) by 70%. Contains lactose, which might make it incompatible to those who are lactose-intolerant. Serving size is 2 tablets. Results may take up to a month to be noticeable. Menopausal symptoms will not completely disappear. Might cause complications for those with liver problems. Puritan’s Pride has been a well-established company for more than 40 years. No preservatives, artificial colors, flavors, sweeteners. Gluten-free, dairy-free, sugar-free, starch-free, yeast-free, fish-free, and sodium-free. Has a money back guarantee. 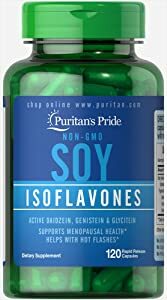 Contains only soy isoflavones and gelatin. Capsules are manufactured to be rapid-release. Serving size is 1 capsule, but the recommended dosage is thrice daily with meals. Non-vegan (gelatin is derived from beef). Results may take anywhere from 2 weeks to 1 month before becoming noticeable. Efficacy may vary from person to person depending on how their bodies break down and absorb soy derivatives. Non-GMO, gluten-free, dairy-free, egg-free, nut-free, fish-free, shellfish-free, and kosher. Formula contains a blend of herbs. Serving size is 3 pills. 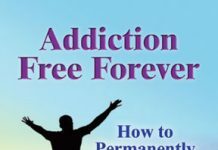 Those who are on blood thinners and other medications might not be able to take this medicine. 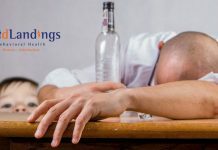 Might cause complications for those with liver disease or problems. Menopausal symptoms might return after months of taking this product. Color variations may occur (as the product contains no artificial colors). May cause drowsiness in some women. Efficacy may vary from person to person depending on how their bodies break down and absorb plant-based derivatives. Q: Do I have to take multivitamins? A: If you’re eating regularly and have a healthy diet (contains all food groups and not excluding one or more), you don’t have to. However, if you’re less than sure, you can consult a nutritionist. Q: Why do some brands have some vitamins and minerals while some don’t? Why can’t all multivitamins contain all the vitamins and minerals? A: There are so many vitamins and minerals that the body needs. If you take all of them and put them in one capsule, the size of it would be 3-4 times larger than your normal, average capsule. This will make it nearly impossible to swallow. Q: Why do prenatal vitamins can’t have folate, iron, calcium, and DHA in one capsule? It’s so costly and exasperating to buy different kinds! A: The vitamins and minerals needed for a healthy pregnancy can’t be lumped together because some of them interact badly with each other. Iron and calcium, for example, can’t be mixed – which is why OB-GYNs recommend you to take calcium in the morning and iron before going to bed. Most vitamins and minerals are in powder form, too, which makes them not suitable to be mixed with Omega-3 or DHA, which is an oil. Q: I’ve tried so many multivitamins but I can’t seem to find one that works for me. What should I do? A: Unfortunately, results will vary from person to person. While the ingredients in these supplements have all been proven to be effective to a degree, a lot will still depend on how your body receives the active ingredients. As a dietary supplement, these multivitamins will interact with the other foods that you eat. If you’re on any other medication, they might affect the efficacy, too. The best thing to do is to consult your physician/OB-GYN before taking multivitamins (especially if you’re pregnant or menopausal). Q: Why are the prices not included in the pros and cons? A: Most people like to purchase products that are cheaper than others. This is understandable, but not really recommended when talking about vitamins and supplements. What’s more important are the ingredients list and the supplement facts listed at the back of the products. You might think that a cheaper product is better, but you might be getting less product and more filler. Now, after going through the pros and cons of each top-rated product, there should be a clear winner, right? The answer is yes… and no. As was explained, a woman’s body goes through several changes throughout her life, which means she will need different vitamins and minerals, too. This means that there is no one-size-fits-all multivitamin for all women. You need to consider a woman’s age, life stage (pregnant, menopausal, etc. ), diet, and lifestyle. It’s a tie between these two must-haves because both supplements are needed for a healthy pregnancy. And while the third product has all the ingredients in its two-pill formula, the addition of questionable ingredients (synthetic dyes, omega-3 derived from tuna) makes it less desirable than the two winners. While you’ll be purchasing two separate products, you’ll be getting two products with exceptional ingredients. Peri- and post-menopausal supplement efficacy will be different from one person to another. Some might experience great results with one product while others might not. However, Remiferin is a supplement that can be taken by more people. Estrogen replacement therapy is often given to menopausal women, but taking estrogen when you have a history of female-specific cancers can lead to problems. 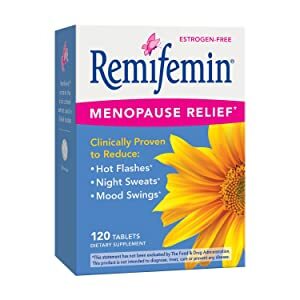 Since Remiferin is estrogen-free, it is the best one you can try. While not having many of the certifications and benefits that the other two products have, ProCaps Labs’ multivitamin contains the most balanced and potent formulation of vitamins and minerals. The other two products might have additional benefits for the skin, hair, nails, and urinary tract, but their vitamins and minerals are considerably lacking. The focus of a multivitamin should be the essential vitamins and minerals, after all – not the extra benefits. For example, ProCaps Labs’ multivitamin contains a whopping 1,600%+ of the daily value of vitamin C, which is essential for a healthy immune system. Vitamin C is a water-soluble vitamin, which means it gets excreted by sweat and urination. The body needs to get this vitamin daily, and ProCaps Labs has the highest concentration of it. Another thing to note is that while most of these multivitamins contain only a small percentage of calcium and magnesium (typically because the iron percentage is higher), ProCaps Labs’ formulation contains more than the other two. Now that you have more information about some of the top-rated multivitamins you need, shopping for one that fits you won’t be so difficult anymore. 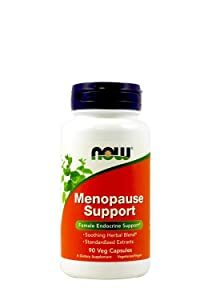 One of these best multivitamins for women will surely fit you, whether you’re looking for one that’s for pregnancy, menopause, or for daily use!